Funeral for Dimple Harris, 78, Lawton, will be at 10 a.m. Monday, Jan. 25, 2016, at Lawton Ritter Gray Funeral Home Chapel in Lawton with Martin Charles Sr. officiating. Burial will follow at Sunset Memorial Gardens. The angels in heaven rejoiced on Tuesday, Jan. 19, 2016, when Dimple Harris left her earthly home in Lawton to join their number in eternity in heaven. Dimple was born March 11, 1937, to the union of T.J. and Sallie Mae Jones Mosley in Barton, Miss. She grew up in Memphis, Tenn., where she attended Manassas High School. She confessed her faith in Christ at an early age at Shiloh MBC in Barton, Miss. She later joined Getwell Church of Christ, where she served faithfully for many years. She was united in holy matrimony to Cleo Harris on May 8, 1957, in Desoto County, Miss. Dimple worked as an insurance agent for Atlanta Life Insurance Co. for a number of years. She was also a sales rep for Princess House Crystal and later provided childcare in her home until her retirement. In 2011, Dimple and Cleo moved to Lawton to be near their son and daughter-in-law, Larry and Paulette Harris, who were her caregivers. 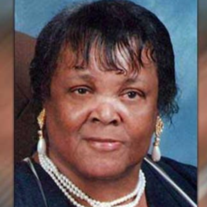 She leaves to cherish her memory her husband of 58 years, Cleo Harris; two sons: Larry Harris (Paulette) of Lawton; and Gary Harris (Pamula) of Jonesboro, Ga.; one daughter, Anita G. Charles (Martin) of Hyattsville, Md. ; siblings: Ida R. Miles and Bonnie K. Holt, of Memphis; Thomas S. Mosley of Salisbury, Md. ; and Sharon J. Christian (E.L.) of Dallas; seven grandchildren: Jeffrey Harris (Towanna), Damon Harris (Teresa) Adrian Harris, Danika Harris, Janeil Broady (Courtney) Kayla Harris, and Martin Charles Jr., and 10 great-grandchildren: Dominique Turner, Jiovanni Brown, Destiny Harris, Jeffrey E. Harris, Tre'Vion Harris, Jaylyne Harris, Donovan Moore, Alexia Moore, Ilyaz (Elias) Jackson, Baylor Harris and a soon-to-be 11th great-grandson due in March; along with many nieces and nephews and other relatives and friends. She was preceded in death by her mother and father; and her sister, Velma Parker, of Chicago. Viewing and visitation will be from 2-4 p.m Sunday, Jan. 24, 2016, at the funeral home.